I received my Miniature Booty Swap quilt this week, and it turns out my partner was Toni, the Quilting Pirate herself! Yes, the swap hostess was my partner! And let me tell you, she did a fantastic job. Isn't it wonderful? I've been a long-time admirer of anything with the Bento Box look. I've even bought the pattern but haven't been able to make one yet. So I was thrilled when I received something (to keep!) in one of my favorite patterns. The colors are great, too. I wonder sometimes if people regret pulling my name in one of these swaps because I'm a guy, and it's not always the easiest thing to pick quilting fabrics suitable for a guy. 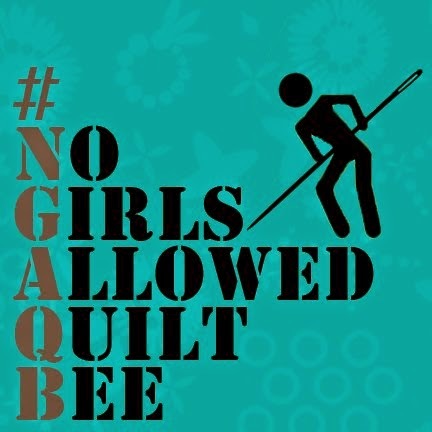 But, so far, it doesn't seem to be an issue for anyone because all of my swap quilts are GREAT!! Toni also included some great pieces of fabric in her package. Thanks so much, Toni!! Literally, within 10 minutes of opening this package my daughters absconded with both the quilt and the fabric pieces. Hooray for the Craft Room! Whenever I see these threads pop up about "let's show off pictures of our crafting spaces", I cringe just a little bit. Our teeny tiny office / sewing room is in no kind of shape to be photographed. It's small and cramped with repurposed furniture that's barely meeting our needs and a completely inefficient use of space. I yearn for a "proper" space to do my work (both crafty and otherwise), especially the more I get into this hobby. Well, I took one step closer this past weekend. Last year, Pier 1 sold a Project Table that was, in essence, a knock-off of the pricey Pottery Barn version. Unbeknownst to me, the item was quickly discontinued, marked down, and is now near impossible to find. Well, after exhausting all of my local stores, I started calling stores in the NY / NJ area, where at least my mom could pick one up if I could find it. Well, lo and behold, I found not one but FOUR of these bad boys. And here's the best part ... they're down to $199 each. (And one of them was the floor model with an additional 25% off). Here's what I learned: some stores still have one hanging around in their stock room ... and some didn't even realize it was back there. Call around and find someone good on the phone who's willing to go move a few boxes to see if they still have any. My mom is going to keep two of them (my younger brother is moving out this month and she's setting up a crafting room of her own) and I'm getting the other two. Now I have some motivation to get organized. Here's my next mission (and maybe you can help): these Pottery Barn Wood Buttons wall art. Again, I coveted these in the catalog but didn't act quickly enough -- they were discontinued, marked down, and now impossible to find. I keep searching eBay to no avail. Does anyone have a lead on a set of these?? My beautiful twin girls turn 4 today. I just cannot believe that four years have passed and that my babies are now really little girls. I was very happy with the way this quilt turned out. By far, I think it's the most well-constructed quilt I've made yet. The binding felt nice and tight with no blunders this time! 1) to make something rectangular rather than square. 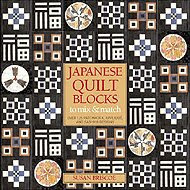 2) to pick out fabrics and design the quilt based solely on my partner's preferences. Becky said she really liked greens and purples. I probably never would have bought this fabric and put it all together for myself, but once I started picking it out I got very excited. And I think the final product is pretty charming! 3) to make and use a pieced backing and a pieced binding! I really enjoyed using both of these techniques, and I think the binding turned out especially well. Labor Day weekend meant full speed ahead on making some more blocks for my Craftster group. Here are the 8 blocks I've made over the past few days. I think I'm down to the final few packs of fabric before I'm done with my blocks for this swap. 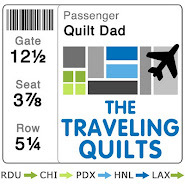 It's been a ton of fun and I've met some great quilters, so I hope there's another round! There are really going to be some great quilts coming out of this swap -- I can't wait to see them. Look at this beautiful quilt from Marilyn! I LOVE it. It features some of my favorite Flutterby and Blossom fabrics, and (unbeknownst to Marilyn) the browns and teals coordinate perfectly with our living room. My wife is already scoping out places on our living room walls to hang it. Here's a close-up ... check out that hand-stitching. And wait, it gets even better. Marilyn, teach me how to make labels like this!! Now, are you ready for the cherry on top? There was another wrapped box in the package. I opened it and it was a box for a photo cube. I thought, "great, I can put some recent beach pics of the kids in here and bring it to work" and, to be honest, I put it aside as I continued ogling the quilt. Marilyn took pictures of my children off of my blog and made this spectacular gift for me. Is this not the most thoughtful, special, creative thing ever?? I can't even begin to describe how beautifully this frame is decorated ... like a 3-D scrapbook page! Thanks so much, Marilyn. You rock. In other swap news, I sent out my Miniature Booty Swap package on Saturday morning, only to find out later in the day that the address was incomplete. Please say a prayer that the package finds its way to its intended recipient ... or at least back to me, so that I can re-send it! I am so pleased with how that little quilt came out and I would be heartbroken if it went missing.